Surely not this old chestnut – again? This proverb explains most of what goes on in policy circles these days. We are now watching Extend-and-Pretend, Episode VI: Promises for improvement amid ever growing debt levels. In brief, we’re still working with the same dog-eared script we were introduced to all of five years ago, when markets had stabilised in the wake of the financial crisis: maintain sufficiently low interest rates to service the debt burden. In other words, pretend to have a credible plan, but never address the structural problems and simply buy more time. But while we were able to get away with this theme for an awfully long time, the dynamic is now changing as the risk of low inflation (and even deflation) is a brick wall for the extend-and-pretend meme. Yes, interest does grow without rain, and the cost of maintaining and servicing debt grows especially fast in a deflationary regime. Mads Koefoed, Saxo Bank’s macro economist, projects US growth at around 2.0% for all of 2014. That will be the sixth year with US growth near 2.0%, so despite lower unemployment and a record high S&P500, the economy has a hard time escaping that 2.0% level. This post was published at Zero Hedge on 09/27/2014. These attitudes suggest that the EU could be devolving from a nascent super-state to something that increasingly resembles the Holy Roman Empire, a fragmented landscape of small, unimportant states wrapped in a unitary, but ephemeral crepe. This challenges the view of some Americans, particularly but not only on the left, who see Europe as a role model for the U. S.
This post was published at Global Economic Analysis on Saturday, September 27, 2014. Good money will appreciate in value. All you need to do is choose your money wisely, hold it, and wait. A continuation of the discussion from yesterday, this time using a full century and a half of data. The conclusions are the same. Good money will appreciate. Just choose your money wisely, hold it, and wait. Growth of the Federal Government. The followers of Lord Keynes have the controls of power firmly in hand. A larger central government = larger central power (central planning) = larger drag on the real economy. Ask any small businessman (if you can still find one) about the costs of taxes, regulations and licenses. Federal debt. Extinguishing debt is mathematically impossible with our system of money / debt. The biblical Jubilee called for all debt to be cancelled every 50 years so that excess debt could be washed out; otherwise one person would end up owning everything with enough time. Our federal debt is officially listed as $18.2T based on a cash accounting system. (Based on GAAP the debt is estimated at $100T more or less.) Our entire yearly federal budget is only $3.8T. Our yearly national GDP is only $17.5T. Private / corporate debt. Since 2007 private, corporate & financial debt is down by about 50% of GDP. However, the federal government has increased their debt by about 33% of GDP. While most households and businesses are trying to get their financial houses in order the federal government debt is rocketing higher (classical Keynes reaction). All this additional public debt is causing a drag on the real economy. If interest rates rise from the present record low rates we will find ourselves in big trouble. That is a bet I would not make. This post was published at Gold-Eagle on September 27, 2014. For most Americans, the best indicator of a healthy economy is having a job. With many Americans entering older age, the number of those not in the labor force is booming. It doesn’t appear to be on the radar of people that the reason the unemployment numbers look the way they do is because a massive number of Americans simply are not counted in the labor force. This ability to ignore a large portion of your population allows the numbers to appear better than they are. But this is for the entire US population. If we look at those 25-54 we find that 1 out of 4 is without a job. This is the prime working years for many Americans. The Great Recession has been a challenge for many working families. The lack of good paying work, weaker benefits, and inflation has dug deep into the pockets of many Americans. When 1 out of 4 Americans in their prime working years is out of work, something else has to give. A Senate Budget Committee report shows an inordinately large number of Americans in their prime working years out of work. The problem for many Americans is the inability to find good jobs (or any jobs) in the current economy. We have skills being mismatched but also, many companies have found it better to provide low wage work and simply filter profits up to the top. This is a reason why the stock market is doing so well while most families are not. This post was published at MyBudget360 on September 27, 2014. 1. Criminal collusion by the CFTC officials- how CFTC knew what was going on with gold & silver manipulation, and wanted to keep the price suppression game alive while China corners the market 2. More pain ahead for gold & silver? Why Harvey believes the whacking will continue until the last ounce of gold and silver are gone 3. Shanghai silver drain accelerating- with stocks down 93% since 2013, Shanghai vaults will be BONE DRY by December! 4. Harvey predicts the bullion banks are about to ATTACK THE COMEX- does the long awaited PM default loom in 2015? Petro-Dollar On Its Deathbed? PMs About To Rally? No. As we near the end of the 3rd Q for 2014, time is running out for all the 2014 enthusiasts that are calling for higher prices by year-end. The lessons learned from 2013 have been forgotten as not only are not prices beginning to move higher, they are making new recent lows. Incredibly enough, many of these prognosticators are paid pretty well by their subscribers. Lesson to be learned? Absolutely no one can divine the future. Here we are, in the cheap seats, showing our unadorned, simple charts each week, repeating the most basic advice possible: The single most piece of information one can have is knowledge of the trend. If the trend is down, do not be long, [at least not in the paper futures market]. Buying and holding physical gold and silver is a totally different issue. It may be evident, at times, that we have no pre-determined agenda for each week’s article. Already, we are far away from what we thought we would write just as of last night. A function of this more stream of consciousness weekly endeavor is that we are no locked into maintaining a false hope, pitching something that is contrary to what the market is advertising. Last year, there was ‘hope’ when news would come out about record coins sales, huge Chinese lines queued to buy gold, record tonnage purchases by China, Russia, sometimes India. We are amused to see similar articles appearing again, recently. Does that information really matter? Is it impacting the market? Not in the least. We could be wrong, at least about our ‘story’ that attends the charts, but we are not wrong about reading the chart direction. There is a reason why we keep saying to stop listening to what others are saying, and pay attention to what the charts are saying about those others who actually participate in the markets. Once more, there is no better source for what is happening in the markets than the market itself. After interviews with dozens of New York Fed employees, Beim learned something that surprised even him. The most daunting obstacle the New York Fed faced in overseeing the nation's biggest financial institutions was its own culture. The New York Fed had become too risk-averse and deferential to the banks it supervised. Its examiners feared contradicting bosses, who too often forced their findings into an institutional consensus that watered down much of what they did. Macy's CEO Terry Lundgren said he was expecting a rebound this year. "The consumer has not bounced back with the confidence that we were all looking for," Lundgren said at the Goldman Sachs Annual Retail Conference earlier this month, weeks after the company reported sluggish second-quarter sales. Lundgren also said he doesn't expect things to get better in time for the holiday season. This post was published at Edge Trader Plus on September 27, 2014. With Janet Yellen set to remove the ‘wealth-creating’ nutrients of QE within a month, it appears there is only way left to The American Dream… latch on to a billionaire (or their son or daughter). As a patriotic courtesy to our readers we provide the dummies guide to befriending a wealthy benefactor…everything from their marital status and demographic to the most critical factor for success – where to hang out in 2015 to catch their eye. Globally, over 9,000 individuals have access to billionaire resources: 86% of all billionaires are married and, on average, have just over two children each. Well, the spinmeisters are out in force. It’s predictable. A young woman has taped conversations between Goldman Sachs and the New York Fed apparently showing clear collusion -and the articles are already spewing forth on how the system is terribly corrupt and needs a regulatory overhaul. But the system doesn’t need a regulatory overhaul. The system needs FEWER regulations and a significant discussion about the founding laws of Western nation-states. Even in this day and age very few, unfortunately, understand the anti-competitive system that most Western governments via their respective judiciaries and legislatures have put into place. There are two main elements of support for the current system, so far as I can tell, certainly in the West: monopoly central banking and corporate personhood. Monopoly central banking concentrates decisions on the value and volume of money in the hands of a few. Corporate personhood allows individuals running large companies to avoid responsibility for their actions. I suppose I should add a third element into the mix … patent law and copyright. Corporate largeness inevitably generates government partnerships. This means that modern Western societies are mercantilist – run by a handful of individuals who circulate between the top posts of government and the leadership of private-sector multinationals. Within this context it is not surprising to find that the New York Fed is an ineffective regulator of the financial powerhouse Goldman Sachs. The process is called “regulatory capture” and we’ve mentioned it numerous times in the past few years when describing the reality of regulatory democracy. This post was published at The Daily Bell on September 27, 2014. Based on the recent COT report through Tuesday of this week, every single category of speculator, is on the net short side of the copper market, whether it be hedge funds, other large reportables or the general public. Swap Dealers are carrying the entirety of the net long interest in this market at the current time. Copper prices have been grinding steadily lower due to concerns over slowing global economic growth, especially in China but got a bit of a respite today on the US GDP number, which although it was within expectations, showed some pretty good growth for Q2 2014. Silver is showing a transition as Swap Dealers and Commercials reduce net short exposure with the former now holding a small net long position. Large hedge funds are net short and with the metal probing lower near $17, can be expected to have upped that short position since Tuesday. Other large reportables and the general public both remain net long but both are also selling as they liquidate longs and add to new shorts. 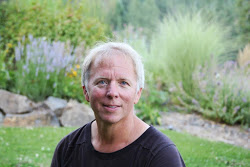 This post was published at Trader Dan Norcini on Friday, September 26, 2014. Both the daily and weekly chart of the VIX are are levels which in the past have been buying opportunities. While there are some bearish divergences setting up on the indexes it’s too early to tell if this is the end of the bull and for now the best the trend is up. I continue to believe that before this bull is over we’ll see a fury of buying to the upside in a blow off top. Having said that I’ve slowed my new buys on the momentum stocks and I’m not using margin at all because the risk of a further sell off remains. This post was published at ZenTrader on September 26, 2014. Last week Federal Reserve Chairwoman Janet Yellen insisted that record-low interest rates will stay as they are for a “considerable time.” So what does that mean for bond investors? Many people realize that rising interest rates affect yields and prices, but what others might not know is that if you stick closely to short-term, investment-grade debt securities-the very kind our Near-Term Tax Free Fund (NEARX) invests in-the impact of such a rate hike is not as dramatic as some investors might think. As you can see in the chart below, NEARX has been a steady grower over the years, in times of rising and falling interest rates as well as extreme market downturns. In fact, it’s taken nearly a decade and a half for the S&P 500 Index to surpass NEARX using a hypothetical $100,000 investment back in June 2000. 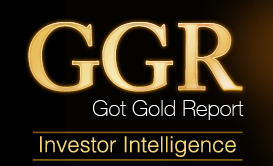 This post was published at GotGoldReport on Saturday, September 27, 2014. Amidst the mounting fiscal crises plaguing major governments around the world, many point to Canada’s successful turnaround. In the mid-1990s America’s northern neighbor was caught in a full-scale fiscal crisis that had been decades in the making. As we argue in a newly released MLI book (Northern Light: Lessons for America from Canada’s Fiscal Fix), compared to some of the proposals for the United States today, the Canadian response of the mid-1990s was very muscular. Program spending, which excludes interest payments, fell by $12 billion from the 1994/95 budget to the 1996/97 budget, a drop of 9.7 percent. Total federal spending, including interest, fell by more than 7 percent over two years. From January 1995 through January 1998, federal employment dropped by 51,000 – a fall of 14 percent. The Canadian government then ran 11 consecutive budget surpluses beginning in 1997/98, causing the total public debt to plummet from 80.5 percent of GDP in 1997/98 to 45 percent a decade later. Perhaps most surprising of all, the Canadians achieved this immediate and serious fiscal turnaround without plunging themselves into economic recession. 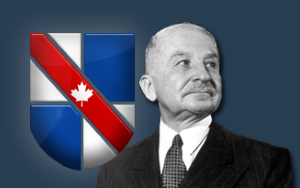 This post was published at Mises Canada on Friday, September 26th, 2014. There seems to be a growing acceptance that the American Dream is hardly as accessible as it once was. Low wage jobs, higher education tuition pushing many into untenable levels of debt, and a new vision of retirement all seem to connect into one new theme. The new theme revolves on a much more challenging road in achieving the American Dream. The majority of working Americans have no sizable portion of stock wealth. In fact, close to 90 percent of stock wealth is in the hands of 10 percent of the population. That is why in spite of the rise of the stock market by 200 percent since 2009, many Americans remain gloomy when it comes to the economy. They are merely spectators to the high flying charts of Wall Street. Most Americans do know that their wages are stagnant, that food costs are jumping, healthcare is anything but affordable, and the road to a college education is paved with high levels of debt. Even the cornerstone of the American Dream which is a home, is very expensive thanks to hot money flowing into the sector and crowding out regular home buyers and pushing the home ownership rate to multi-decade lows. What is the New Normal when it comes to the American Dream? The first obvious change is the prevalence of low wage jobs across the country. Coastal regions in California and New York have a hard time understanding what is going on in a large part of the country. Wages are being slashed and benefits are being reduced. This means more of the burden is shifted directly onto the employee to meet the needs of basic living. This post was published at MyBudget360 on September 24, 2014. Yes, that quote is by John Maynard Keynes the hero and savior of the likes of Ben Bernanke, Janet Yellen and Paul Krugman… all of whom are proud Keynesians. And while there is some awakening to the evils of the Federal Reserve and central banking as a whole, notably with the ‘End the Fed’ protests and rallies, for the most part the ‘not one man in a million is able to diagnose’ part is true. It may be closer to one man in a hundred now, though, so there is some hope. Let’s look at the two most evil facets of communist-style, centrally planned, central banking. The people in the US are starting to wake up to the fact that there are massive problems… resulting in things like Occupy Wall Street and fast-food workers going on strike for a higher minimum wage. What most of them don’t get is what thereal problem is… the Federal Reserve and money printing… AKA. Quantitative Easing. This post was published at Dollar Vigilante on 2014/9/26.